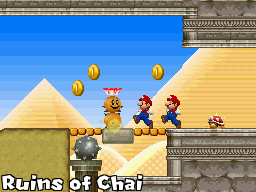 New Super Mario Bros. 5: Clone Tag Team 2 is a sequel to a 2012 NSMBDS hack by MarioFanatic64. 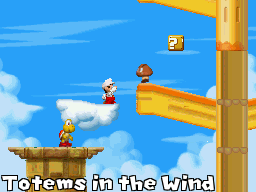 This hack introduced a new feature into the game (controlling two Mario?s at once) and possibly went on to inspire Nintendo themselves when making future titles like Super Mario 3D World, Yoshi?s New Island and NES Remix. In Clone Tag Team 2, everything is bigger and better. Level Design has been improved, the graphics are cleaner, and there is a new musical soundtrack. 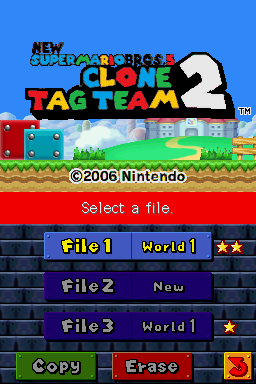 With 81 brand-new, completely original levels Clone Tag Team 2 is the best hack by MarioFanatic64 yet! There are two options for gameplay. 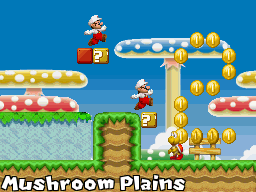 You can choose to play the standard version in which a Clone will be alongside Mario in 36 levels of the game, or you can play as Luigi (by holding L+R on the File select screen) to play Clone-free. Both versions have their benefits and it?s up to you how you want to play through the game. 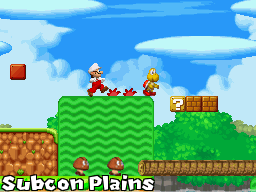 New Super Mario Bros. 5: Clone Tag Team 2 1.0 NEWEST!